Whilst sorting through the 1000s of Thailand images taken last October I came across these news worthy pictures of the October flooding of Bangkok. 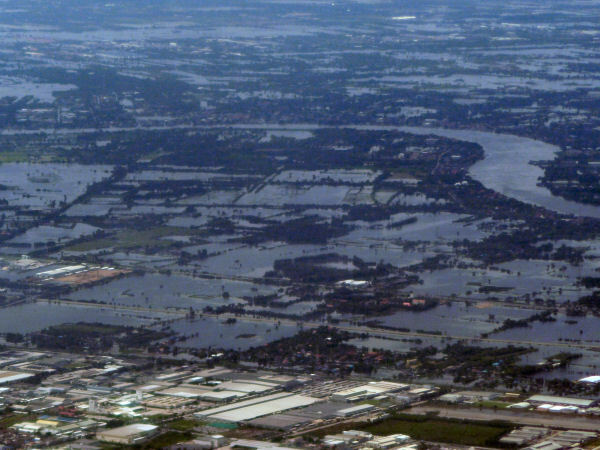 Taken from the plane we can see the devastating effects of the floods. 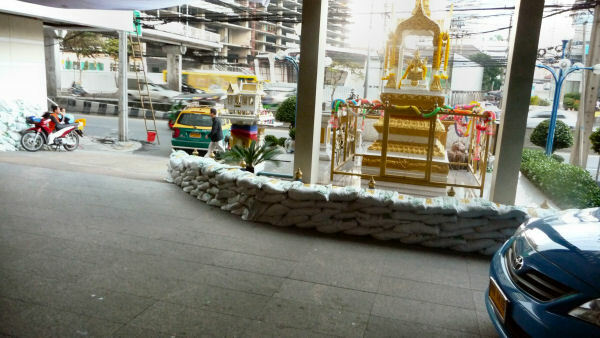 It would be only days before the flooding reached the city centre of Bangkok. Whilst in Bangkok a couple of days before the major inner city flooding it was interesting to see how people were actively building walls around their property to save it from flooding. Sandbags were used all over the city in an attempt to keep the water out. However, reading the reports of the extend of the flooding only days after we left and seeing images of the flooding at a friend’s house, the sandbags in the picture would have been totally insufficient keeping the water out. I learned from all this and when looking for an apartment in Auckland I decided it should be on a hill and at least on the 2nd floor.